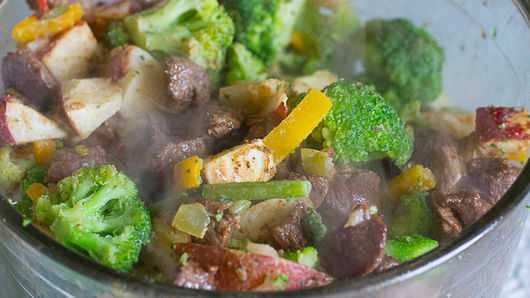 In 10-inch nonstick sauté pan or skillet, cook beef over medium heat 10 to 12 minutes or until browned and thoroughly cooked. 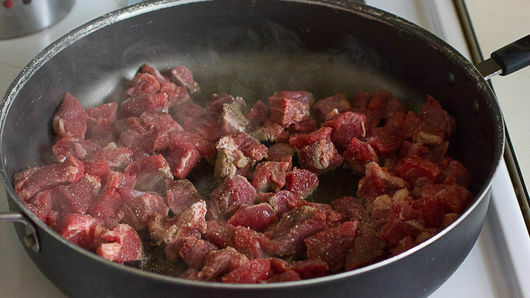 Remove from heat; place beef in large bowl. Add thawed potatoes and broccoli; toss until evenly distributed. 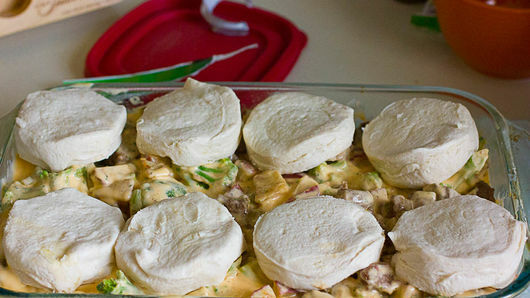 Pour mixture into ungreased 13x9-inch (3-quart) glass baking dish; spread evenly. 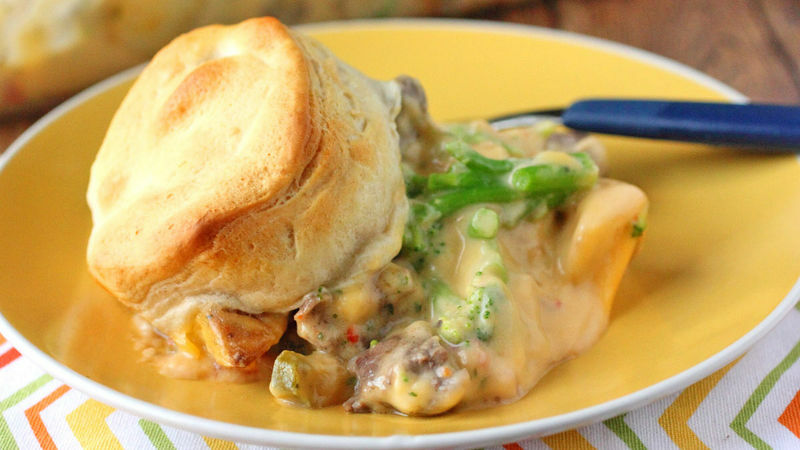 Pour cheese sauce evenly over beef and vegetables in dish. Separate dough into 8 biscuits; arrange evenly over top. If your steak chunks are too big from the grocery store, take a couple minutes and dice them into smaller pieces. Pick your favorite cheese sauce in the pasta aisle to go along with this dish.